Dear friends, we are pleased to announce that His Eminence Khenchen Tsewang Gyatso Rinpoche (also known as Khenchen Guru) will visit London from 22nd to 26th May 2019. He will give Empowerments and teachings on the Dzogchen Ngondro from the Namcho Cycle “Liberation is in the Palm of Your Hand”, and Empowerment of Buddha Shakyamuni and the teaching of the Four Noble Truths. Wednesday 22nd, Thursday 23rd and Friday 24th May from 7pm to 9pm, and on Sunday 26th May from 10am to 1pm at the Palyul Centre UK, 3 Rotherfield Street, London N1 3EE. Each evening GBP 15 – additional donations welcome. Saturday 25th May from 11am to 4pm (doors open at 10:30) at Greenwich Hindu Temple, 63-67 Bannockburn Road, Plumstead, London SE18 1ET. GBP 20 for the day – additional donations welcome. Lunch will be served. Please email center-uk@palyul.eu with your full name. There are two ways you can pay: via BACS – we will send you our bank details for a BACS transfer – or you can send us a cheque made out to Palyul Centre UK. Once we have received payment we will reserve your place. For more details please contact Lama Dawa at the Palyul Centre UK on 07951 089603. We have requested Khenchen Guru to teach from Ngondro (preliminary) up to the advanced Togal practice. In the Palyul tradition this would usually take more than three years of full-time, intensive practice. 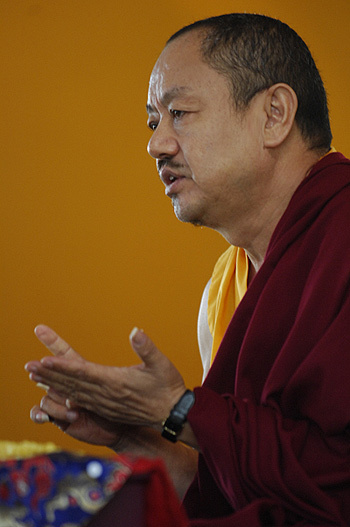 However, His Holiness Penor Rinpoche set up a month-long course each year at the Palyul Retreat Center USA that is completed over a period of seven years (from Ngondro, through Tsalung and Trekcho to Togal) specifically for people who have to work and therefore don’t have much time for studying and practicing Dharma. 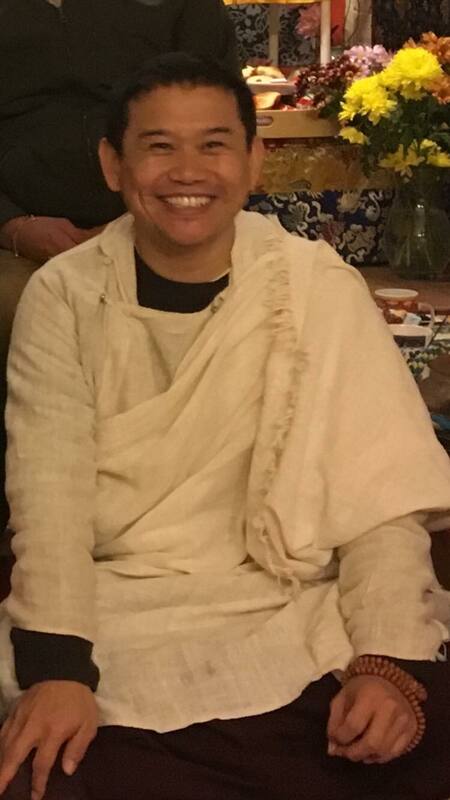 HH Penor Rinpoche always wished to set up this course in the UK; Khenchen Guru was with HH Penor Rinpoche from the beginning of the Palyul Retreat USA, when these courses first started, over 20 years ago, and Khenchen Guru continues to teach them in Namdroling Monastery and in the USA. Starting in May with the Ngondro, the foundation of all the teachings and practices of Buddhisim, Khenchen Guru will give Tid-Lung (oral transmission with guidance of meditation) on “Liberation is in the Palm of Your Hand”, and when he returns this autumn, he will complete the Ngondro. 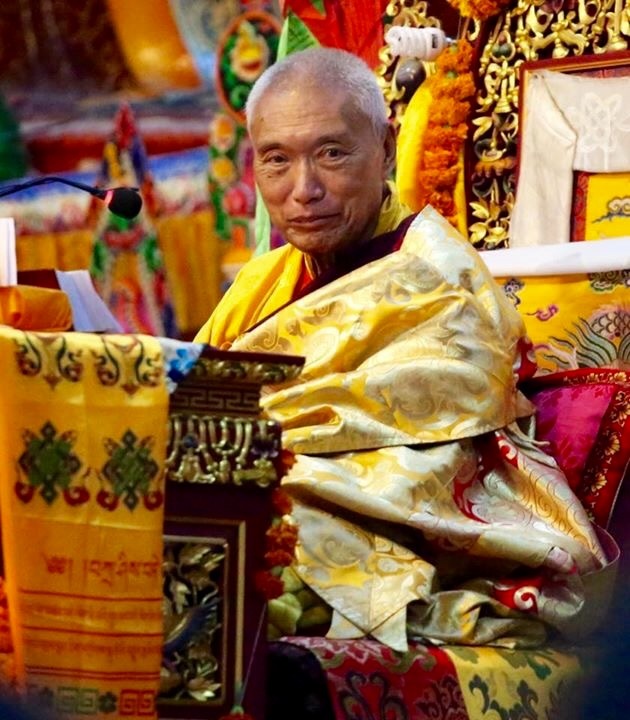 There may be some students who have studied Ngondro and done accumulations of five hundred thousands, and who might think “been there done that!” but it is said the more you practice Ngondro the closer you realise the essence of the Dzogchen, and also it is important to establish a close connection with your lama. Therefore, before you receive the main teachings of Dzogchen and even if you are already practicing higher tantras, you are urged not to miss the start of these precious teachings of the Ngondro. At the moment, we can only offer the Ngondro for this year, but once the Palyul Centre UK is more financially established and can secure the right environment, we hope to make this monthly retreat available in the UK each year to complete the Nine Yana course. 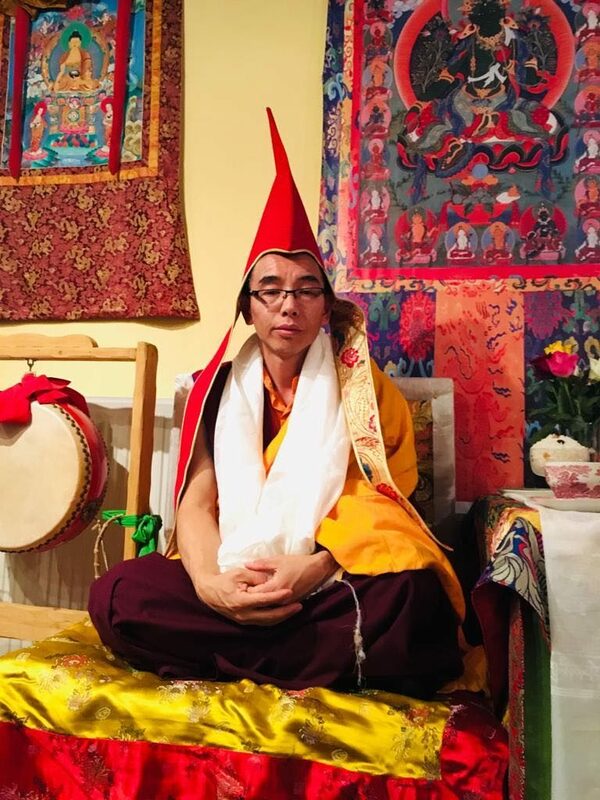 After you have received the Ngondro oral transmission and guidance from Khenchen Guru, and if you wish to do the accumulation of the practice, we at the Palyul Centre UK are here to support you. 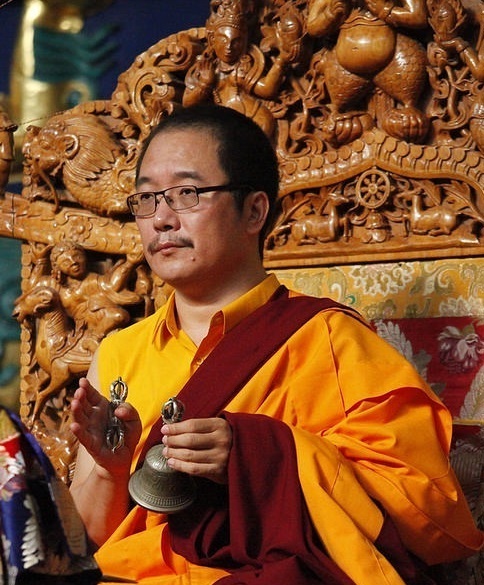 Khenchen Rinpoche is one of three great Khenchens in the Palyul Lineage, and under the guidance of His main root Guru His Holiness Penor Rinpoche he has made an immense contribution to Buddhadhama, which will impact on many generations to come. He also has a wonderful sense of humour and a very gentle nature, and he is fluent in the English language. In 1969 Khenchen Guru entered the Central Institute of Higher Tibetan studies at Sarnath, near Varanasi. There he followed a nine-year curriculum in Buddhist studies under his principal teacher, Khenpo Palden Sherab. He graduated with the degree of Acharya in 1978, ranking first overall among the four schools of Tibetan Buddhism represented at Sarnath. His Holiness the Dalai Lama honored his achievement with the award of a silver medal. After graduation he was invited to teach at Palyul Namdroling Monastery in South India. For several years he was engaged in training the young monks and teaching in the monastic college, the Ngagyur Nyingma Institute (Shedra). In 1983 he was enthroned as a khenpo by Kyabje Penor Rinpoche. In the Nyingmapa tradition, a khenpo is a professor of Buddhist studies. 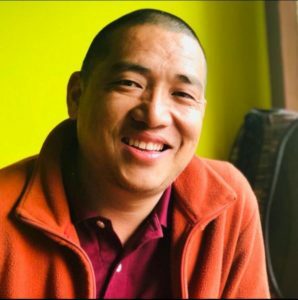 Khenchen Guru has received all of the major empowerments and transmissions of the Nyingmapa school, from Kyabje Dudjom Rinpoche; Kyabje Dilgo Khyentse Rinpoche; Kyabje Penor Rinpoche. He has done intensive Dzogchen practice under the guidance of Kyabje Penor Rinpoche and other eminent masters including Kjabje Khenchen Jigme Phuntsok Rinpoche and Kyabje Nyoshul Khenchen Rinpoche. Kyabje Penor Rinpoche has authorized him to represent the Namdroling monastery and teach, confer empowerments and give personal instruction in Buddhist practice. Dear Palyul Friends, Tashi Deleck! We have already embarked on 2019 and soon it will be Tibetan New Year, Female Earth Pig, which falls on 5th February. 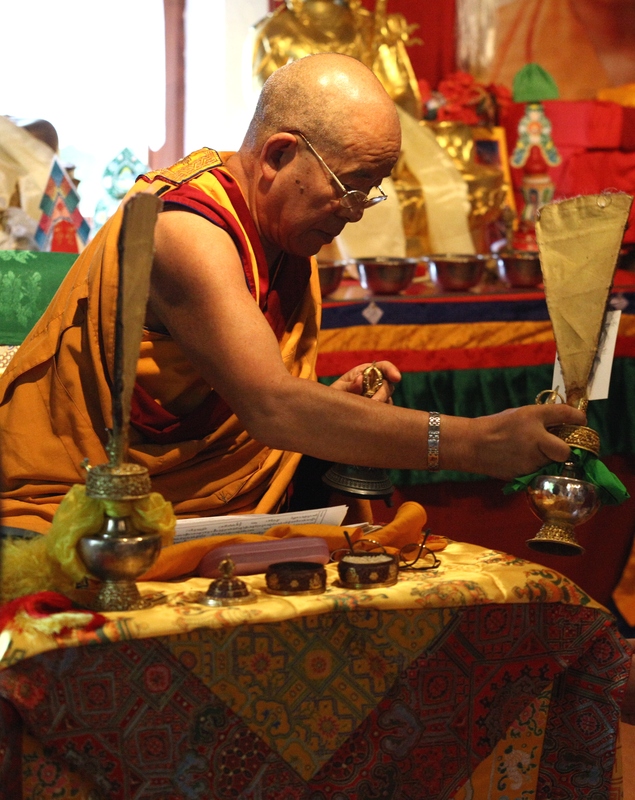 In Tibetan Buddhist tradition, towards the end of the year we do intensive practices in order to avert all disasters and obstacles for the year to come; having performed the practices, we celebrate the New Year. 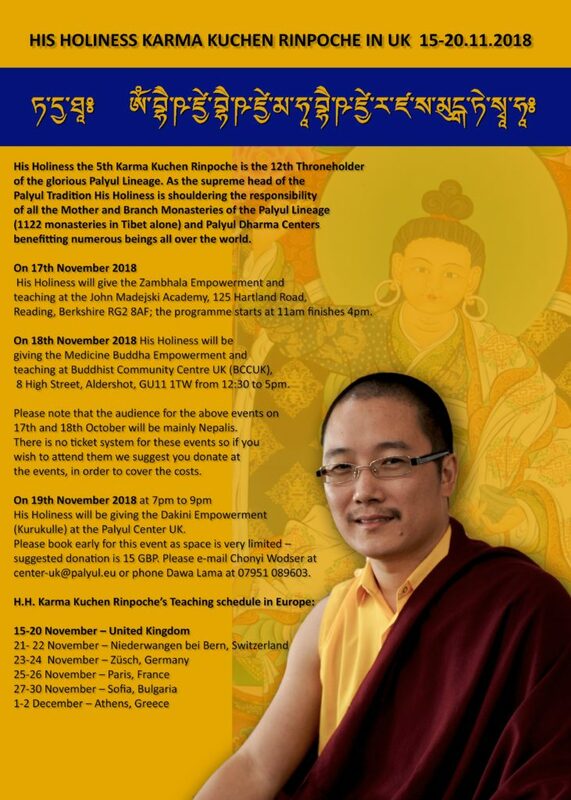 To assist us, we have invited Khenpo Dawa from Palyul Germany on whom His Holiness Karma Kuchen bestowed the title of Khenpo last November 2018. Khenpo Dawa will be leading practices and giving teachings over two Saturdays (26th January and 2nd February) on Medicine Buddha, Kurukulle, Green Tara and Singhamukha, starting with how to set up a mandala up to meditating on deities. I would particularly recommend that those who received empowerments from Khenchen Rinpoche and Kyabje Kuchen Rinpoche in 2018 take part – these two days will help you with your practice and if you wish to do a home retreat. Sunday 3rd February from 1pm to 5pm. Gutor Practice to avert obstacles. No charge but any donation is welcome. Tuesday 5th February Tibetan New Year from 10 am to 5pm, starting with the invocation of Guru Rinpoche and taking Bodhicitta. Tibetan food will be served at 1pm. Suggested donation GBP 10, children under fifteen are free. 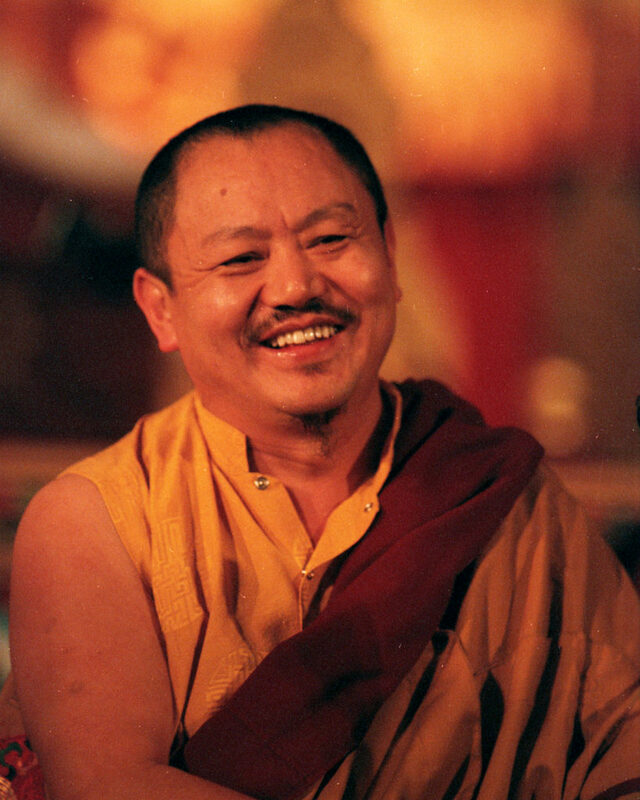 Please save the following dates – details of time and venue will be sent nearer the time: 20th May – 27th May – Kenchen Tsewang Gyatso Rinpoche will be giving teachings and empowerments. We are happy to announce that His Eminence Khenchen Tsewang Gyatso Rinpoche (also known as Khenchen Guru) will visit London in November 2018, and this will be his first visit to the UK. Palyul Center UK is so blessed to organize two days’ teachings. On Friday 9 November 2018 from 7pm to 9pm Khenchen Rinpoche will teach the Ground, the Path, and the Fruition of Dzogchen, based on the aspiration of Dzogpachenpo by Rigzen Jigme Lingpa at the Palyul Center UK, 3 Rotherfield St, London N1 3EE. Suggested donation 15 GBP. Please book early for the Palyul Centre teachings as space is very limited. 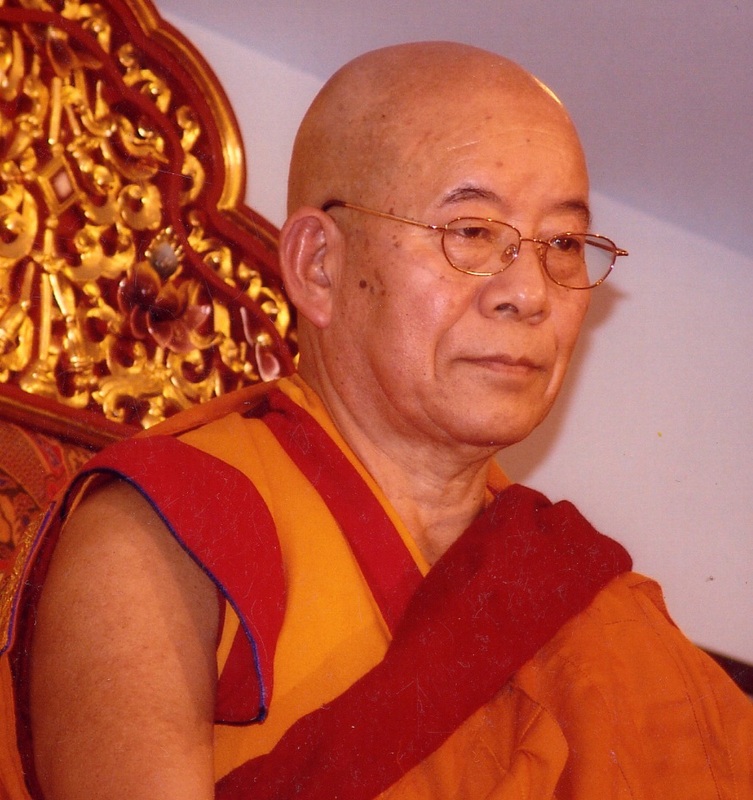 On Sunday 11 November 2018 from 3pm to 7Pm (the doors open 2.30 pm) Rinpoche will bestow the Rigdzin Dupa empowerment and its long life empowerment from the Longchen Nyingtik at Rigpa London, 330 Caledonian Road, London N1 1BB. Suggested donation 20 GBP (Concession 15 GBP). 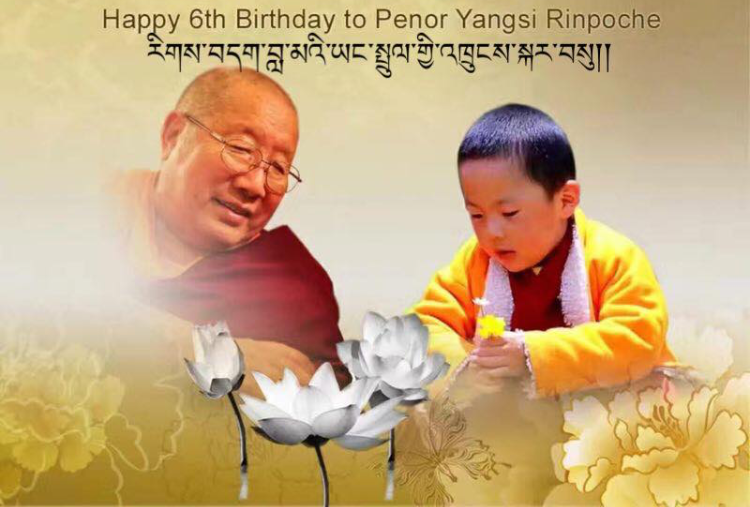 Rinpoche is one of three great Khenchens in the Palyul Linage, and under the guidance of His main root Guru His Holiness Penor Rinpoche he has made an immense contribution to Buddhadhama which will impact on many generations to come. He also has a wonderful sense of humour and a very gentle nature, and he is fluent in the English language. Please e-mail Chonyi Wodser at center-uk@palyul.eu with your full name and which day/s you would like to come. There are two ways you can pay via BACS – we will send you our bank details for a BACS transfer – or you can send us a cheque made out to Palyul Centre UK; once we have received payment we will reserve your place for the empowerment and the teaching. For more details please contact Lama Dawa at the Palyul Centre UK on 07951 089603. Dear friends, we are very happy to announce that Ven. Khenchen Pema Sherab Rinpoche – one of the seniormost Khenpos in the Nyingma tradition and one of the three Khenchen or ‘great Khenpos’ of Namdroling Monastery – will open and lead the annual Palyul Namcho Dzogchen Retreat from 1-12 September 2018 at the Palyul Retreat Center in Zusch, Germany. The Annual European Palyul Namcho Dzogchen Retreat has been helt for 10 years. It is suitable for beginners as well as for advanced Dharma practicioners. The retreat is called “Liberation in the Palm of Your Hand” (Tib. Dzogchen Sangye Lakchang). It is held each year at the European retreat center of the Palyul tradition of Buddhism in Zusch, Germany. This authentic retreat begins with an Introductory Class and Ngondro practice, and ends with the highest Dzogchen practice. On 8 September, Saturday, at 15:00 Khenchen Pema Sherab Rinpoche will bestow the first Empowerment of the Three Roots – Rigdzin Dupa. 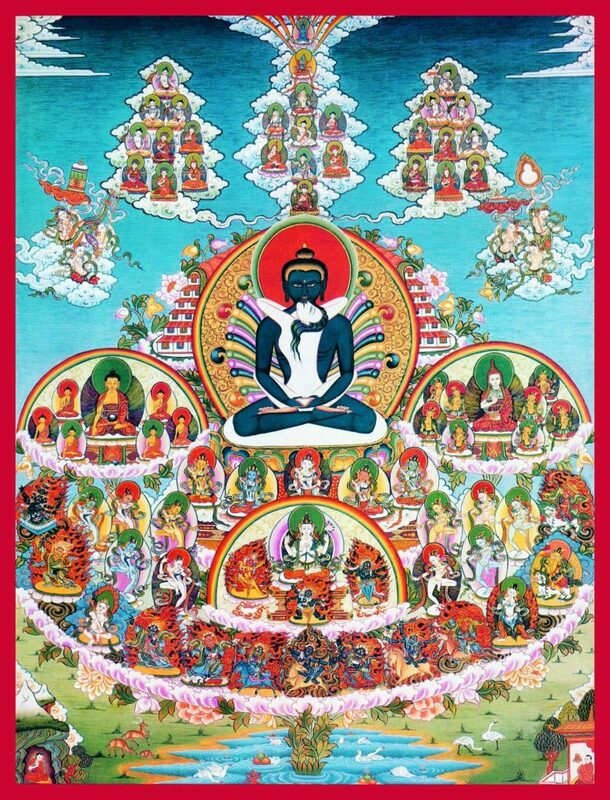 “The Gathering of Vidyadharas” is the inner lama practice from the Longchen Nyingtik, the terma revelation of Jikmе Lingpa. On 9 September, Sunday, at 15:00 Khenchen Pema Sherab Rinpoche will bestow the second Empowerment of the Three Roots – Yumka Dechen Gyalmo. This peaceful dakini practice from the Longchen Nyingtik is a sadhana practice on Yeshe Tsogyal, the consort of Guru Rinpoche, as a wisdom dakini. Dear friends, we are pleased to annouce that H.E. Terton Namkha Drimed Rinpoche will bestow the Vajrakilaya Empowerment, revealed as a terma teaching by himself. Date: 30 August 2018 from 6.00 pm to 7.30 pm. Venue: Palyul Center UK, 3 Rotherfield Street, Islington, London N1 3EE. 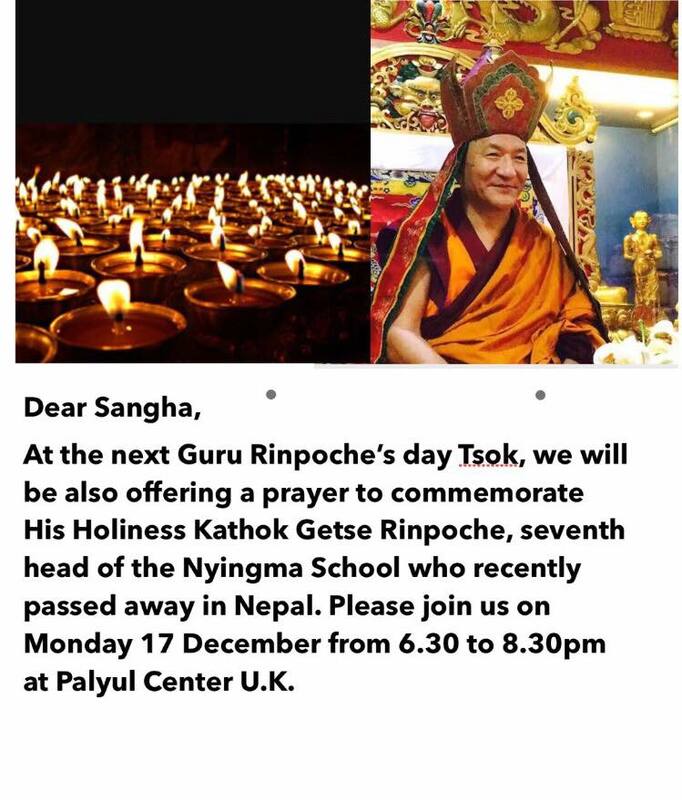 We are humbly requesting maximum people to wellcome Rinpoche at London Heathrow airport. He arrives on 29th August at 11.20 am on terminal 5. H.E. Terton Namkha Drimed Rabjam Rinpoche was born in 1939 in Rigon Tashi Choeling in Kham, Tibet. Phagchok Rinpoche recognized him as the incarnation of the great Terton Yoeunge Mingyur Dorje and gave him the name Namkha Drimed Rabjam.